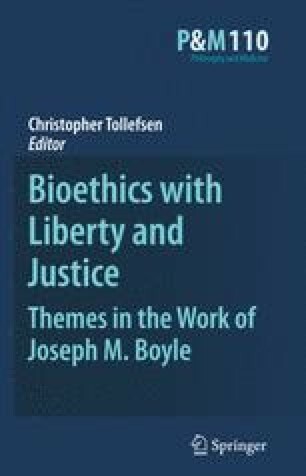 Through many conversations, in several countries, multiple states, and on at least two continents, Joseph Boyle has with great generosity and philosophical clarity taught me natural law theory. It is an honor to contribute to this volume. More importantly, the opportunity to grapple with his arguments is always rewarding. His defense of the new natural law theory is inevitably forceful and often almost convincing. Center for Disease Control 2007. Influenza (Flu): Questions & answers: The disease. Available at, http://www.cdc.gov/flu/about/qa/disease.htm. Accessed February 20, 2007.